A bike is a valuable and very useful thing and has invariably been an item that a great part of the world’s population possesses. While in the past it was just utilized by kids more as a toy to play with when going outside, these days it is utilized by individuals to get to school, work or any other place in the city. 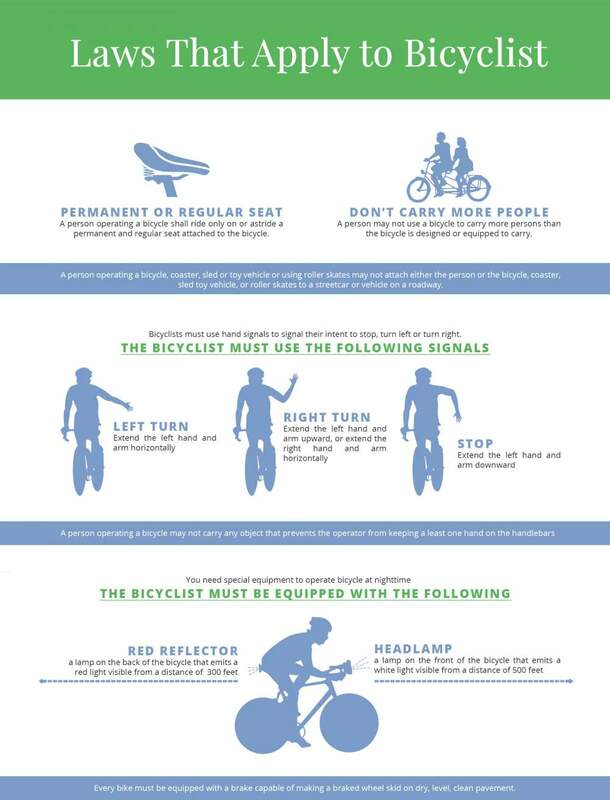 This means that in order to stay safe, they also have to know the fundamental traffic rules for bicyclists, which are shown in this infographic. Having a driver’s license can be useful if you decide to use the bicycle as a daily mean of transport. Knowing how to drive a car makes it easier to understand how to ride a bike safely on public roads.